To help ensure a successful update of your phone, fully charge its battery. While you can recharge your phone by connecting it to the computer with the USB cable, you can recharge it faster by plugging it into the wall charger that came with the phone. To go on with the update, you'll need a Windows PC, a user with elevated privileges and a program to uncompress ZIP and RAR files (WinZip, WinRAR or the likes). Browse through the "Drivers Hard Reset" folder and find a file called "install.bat". Execute (double click) it to install the USB device drivers. In case you get a Windows Security Warning (Unknown Publisher) select Install anyway. Finally, you'll need to download the Ubuntu Phone firmware file and extract its contents to a folder on your PC (e.g. c:\ubuntu). Go where you extracted the "bq Drivers & Tools" and find a folder called "Herramienta MTK Flash Tool". Find the "flash_tool.exe" file inside and execute it. The application window will appear. You must then select the scatter-loading file by clicking on the Scatter-loading button as depicted in the following image. You'll be prompted for a .txt file. Browse through the folders where you extracted the Ubuntu Firmware and select a file called "MT6582_Android_scatter.txt". 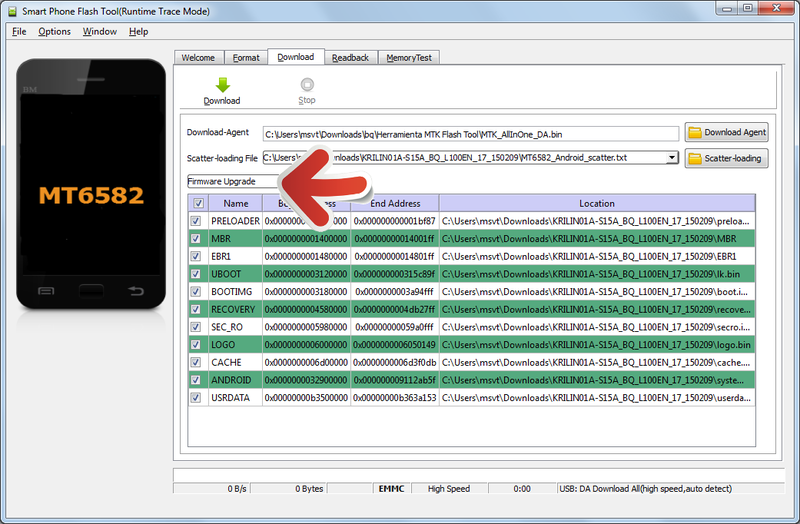 After selecting the scatter-loading file, the details of the firmware will be displayed on the Flash Tool. Now you must change the operation combo from "Download Only" (default) to "Firmware Upgrade", as in the following picture. Warning: Do NOT use the "Format ALL" option (unless you have a full backup of your handset) or you may have to send your phone back to bq for an IMEI repair. 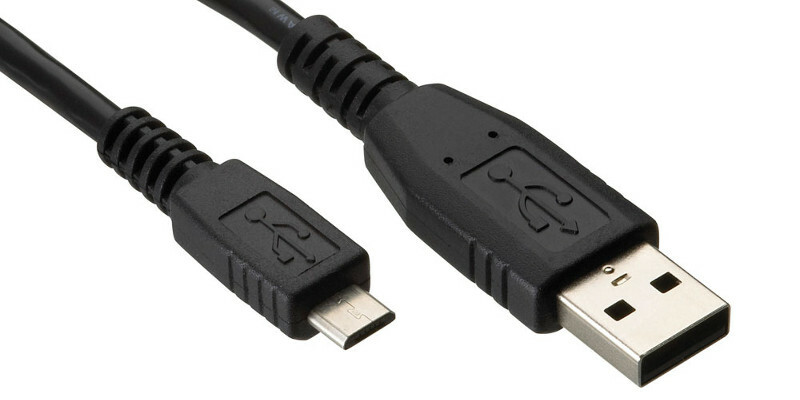 Now connect your smartphone (switched off) to the PC, using the USB cable supplied with your handset. Wait until your PC recognizes your device and all the drivers are loaded (it takes some time, until your PC says "Your device is ready to use"). Press the download button and wait some minutes until the update is complete. If there are no errors, a green circle will be displayed. It's time to unplug your phone from the PC and switch it on by holding down the power-on button for some seconds. After a while (the first boot takes longer than usual) your new Ubuntu Phone ROM will load and you'll be presented with the Ubuntu Setup Wizard. Enjoy it!